There are different degrees of severity with physical bullying, from typical pushing, hitting, punching, biting, kicking, tripping, spitting, to outright violent and serious physical beatings requiring hospital visits, and many cases where children are physically "Bullied to Death." The most serious abuse is through bodily contact, however physical bullying also involves the defacing or destroying of personal property. Theft or damage to clothing and backpacks are often used as methods of torment in an attempt to intimidate and diminish the morale of a bully's target. Physical bullying can also be of a sexual nature. Inappropriate touching, snapping of bra straps, lifting skirts, pulling down pants, to outright physical sexual assault. It's important to realize that bullying is about power and control by the bully over their victim. It is not just a one-time event where a child has lost control of their temper and lashes out in a physical fit of rage. It is a deliberate and repetitive act. It is wilful physical aggression with an intent to intimidate the target by fear of further aggression. As Barbara Coloroso points out in her book "the bully, the bullied, and the bystander" although the ways and means vary, a bully's traits are very common. Bullies like to dominate and use other people to get what they want. Their own wants and pleasures are more important than the rights and feelings of others and they lack the foresight to understand the consequences of their actions. Barbara further explains that these bullies have developed a sense of entitlement with a perceived privilege and right to control, dominate, subjugate, and otherwise abuse other human beings. They have an intolerance toward differences. In their minds different equals inferiority and thus not worthy of respect. Dr. Kimberly L. Mason Ph.D, explains in her outstanding book "Bullying No More," that bullies feed on fear. Once fear is created the targeted child feels powerless, guilty, and embarrassed to tell an adult or to fight back. Consequently, the cycle of violence begins. The mood and temperament of a physical bully can be very unpredictable. If the right opportunity arises for a bully to unleash his/her wrath, any child can be vulnerable. They may just be at the wrong place at the wrong time or could be the new kid at school. In most cases these types of bullies are very selective in seeking out their target. They can be extremely calculating and view weaker children as prey. In their minds, weaker constitutes a vulnerability of some sort. 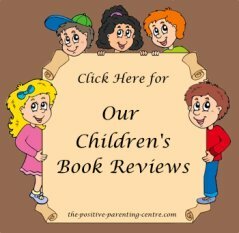 A perceived insecurity in their target, a lack of self-confidence, a smaller or younger child, a sensitive or emotional child, or one that is just shy. A child may be targeted for their race or ethnicity, their sexual orientation or religious beliefs; whomever a bully deems inferior. Personal appearance such as an overweight child, skinny, tall, short, a child with braces or glasses, one with a skin condition or an acne problem. A physical disability, mental or neurobiological disorders such as with ADD, ADHD, Autism or Asperger Syndrome. Dr. Paul R Sterzing Assistant professor at the University of California (Berkley) and lead author of a study on children with autism spectrum disorders reports that 46% of these adolescents have been bullied. These figures are alarmingly high and Dr. Sterzing suggests it represents "A profound public health problem." 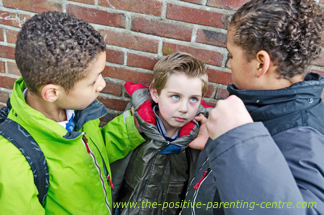 There are many children that are susceptible to the wrath of a physical bully. I myself was a target of physical bullying when I was a young child, as perhaps you yourself or someone you knew was also tormented. The physical bully will often test for a target's weakness by bumping into them to observe their reaction. If there is no negative response they will step things up a notch with pushing and shoving etc, all while monitoring the outcome of their calculated efforts. If there is no retaliation by the victim, or bystander support for the victim, the bully's power is established and the abuse escalates. Bullying statistics differ among various studies, depending on the actual criterion used and the participants perceived definition of bullying. One particular survey was conducted in 2011 in the United States by The National Centre for Education Statistics. The findings indicate that most bullying is done at school where a total average of 27.8% of students ages 12 to 18 were bullied. When those numbers were further broken down they represent 32.9% for girls and 26.7% for boys. A more recent U.S. study during the 2012-13 school year surveyed over 200,000 students from grades 3 through 12. 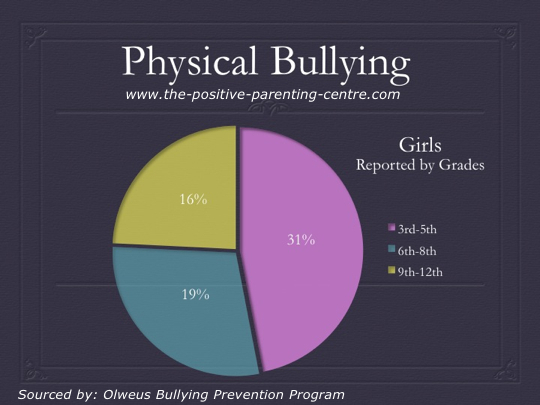 The findings reported by the Olweus Bullying Prevention Program indicate a slightly higher percentage in grades 9-12 for boys at 34% yet a lower rate of 16% for girls. This survey also indicates that physical bullying is more prevalent in younger grades. As the charts below indicate only slightly higher for boys than girls in grades 3-5 with 38% for boys and 31% for girls. 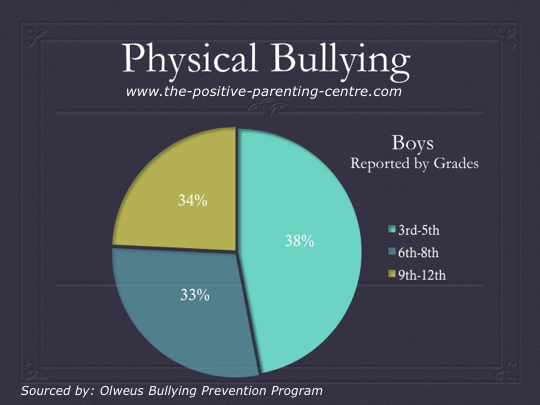 You'll notice the findings in the above chart show physical bullying in boys is relatively consistent through grades 3-12, with only a 5% fluctuation. Whereas in the girls chart below the fluctuation widens considerably. Notice how the percentages above for girls in grades 3-5 gradually drop nearly 50% from 31% to 16% compared to grades 9-12. The reason for this reduction coincides with the increase in emotional and relational bullying that is so prevalent in girls as they navigate the seemingly unending, and complex social challenges they face throughout their school years. It seems in my day as a child (over half a century ago) when it came to physical bullying you would just "duke it out" and be done with it… Survival of the fittest so to speak. It was a part of growing up. That is where the terminology "A school yard right of passage" into the real world emerged from. Bullying is much more serious in today's society - children are being beaten to death or committing suicide because they can no longer suffer the agony and torment at the hands of today's bully. This was unheard of in those days and an issue that must be taken extremely seriously. Below are just three of numerous videos illustrating the serious ramifications that physical bullying is having on our young children of today. They are very short, (please take the time to view them). It is our responsibility as adults to set an example with our vigilance and support by standing up for victims in any bullying situation. How do we expect to model respect, kindness and empathy toward others when we turn a blind eye to such despicable behaviour as displayed in the following video. Hats off for the courage of Steve Raines. As you ask yourself where is the adult bus driver? Fortunately for Zackery Jamison, the young boy in this video, things eventually turn out for the better, ironically aided by Jacob, one of his reformed bullies. Unfortunately not many bullying cases turn out as well as Zackery's in the video above. Below are some cases revealing more serious consequences. I'm sure you are sadly aware of the recent terminology in the bullying epidemic labeled as Bullycide. It is a new term used to identify those children/teens who were victims of bullying where the stress and devastating effects of bullying were too powerful to bear and despairingly committed suicide. All forms of bullying, verbal, electronic, emotional, as well as physical bullying can trigger thoughts of suicide. As mentioned in our article on "The Different Types of Bullying," 4,400 American children commit suicide annually due to bullying. These statistics were not analyzed to evaluate suicides prompted by physical bullying alone as many of the reported cases included multiple components of bullying tactics. The following articles reveal the harsh reality of children actually being physically bullied to death. 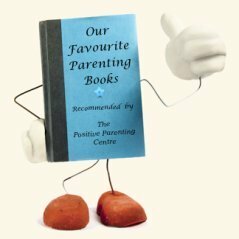 This is something parents cannot ignore. You must realize any child is vulnerable to such a tragic and gruesome consequence, including your own child. The following are just three of the most recent and far too many disturbing cases. None of the parents of these bullied children were able to prevent their deaths. An eight year old girl Lebohang Makala from Soweto, Gauteng was beaten and kicked by bullies at her elementary school. She died 2 days later from internal bleeding. Shahzaib a six-year old boy was tortured to death by his classmates at a government-run primary school following a dispute over the unlocking of their school's main gate. He died on the spot. Bailey O'Neill, who turned 12 on Saturday, died Sunday morning and was taken off life support. Two other pupils jumped Bailey during recess at their Darby Township School, hitting him in the face repeatedly. Learn more about the types of bullying, and why it's important for parents to understand the difference between teasing and taunting. In this article we define emotional bullying and explain some of the tactics used by the perpetrator. The anatomy of an emotional bully and why they behave as they do are covered, along with some factual statistics.